Hey, guys! 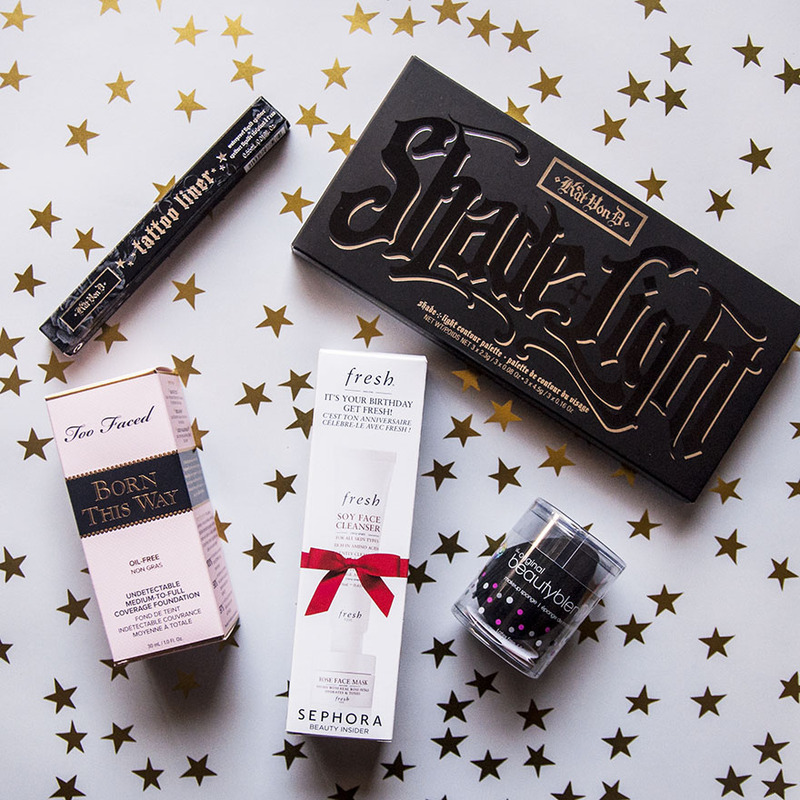 I'm so excited about this beauty haul because most of the items are products I've never tried before like the Kat Von D Shade + Light palette! Since it's debut, I've been dying to get my hands on the Shade + Light palette but wasn't sure about it because there's so much competition! Cosmetic companies have been stepping up their contouring game and coming out with so many awesome tools to help bring definition to your face! It makes it difficult to choose! But after countless of hours watching YouTube videos, I'm confident that this is the best palette you can contour with. I hope I'm right! There's also a lot of buzz surrounding Too Faced's Born This Way Foundation. I watched many beauty gurus get ready with it and I've heard several mix reviews about it, so I figured I'll try it out myself. Plus, my face has been extremely dry, even after applying every moisturizer I own and the Born This Way foundation is infused with coconut water to help hydrate your skin. I'm intrigued so hopefully it wins me over! I got to try Kat Von D's tattoo liner in a deluxe size from a sample box last year and I fell in love with it! It's so easy to create that cat eye! And of course, I swear by the Beauty Blender, I wish I had an endless supply lol! As for the Fresh cleanser and mask, I received this as a birthday gift from Sephora but if you couldn't get one for your birthday and you'd still like to try it, you can purchase one here. I can't wait to find the perfect time to try the rose mask! If you've tried any of these products before please share with me your thoughts! Good or bad, I would love to hear some insight! Also if you'd like to see a review on any of them, let me know! I'll update you guys on my thoughts!